The FME Desktop product is for data translations and transformations at the desktop level (as opposed to FME Server, which is an enterprise-level, web-based product). FME Desktop consists of a number of different tools and applications. The two key applications within FME Desktop are FME Workbench and the FME Data Inspector. FME Workbench is the primary tool for defining data translations and data transformations. It has an intuitive point-and-click graphic interface to enable translations to be graphically described as a flow of data. The FME Data Inspector is a tool for viewing data in any of the FME supported formats. It is used primarily for previewing data before translation or reviewing it after translation. 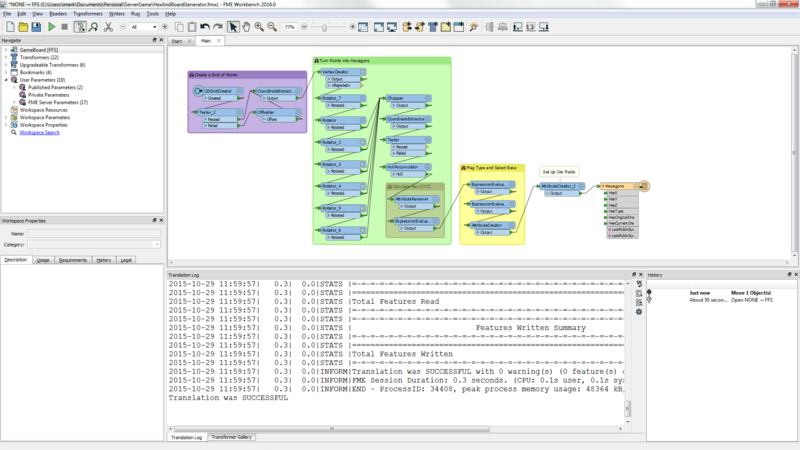 Besides Workbench and the Data Inspector, there are several other FME utilities. A help window for FME that refreshes automatically as you click on items in FME Workbench. A precursor to FME Workbench that is used only for quick translations requiring no data transformation. 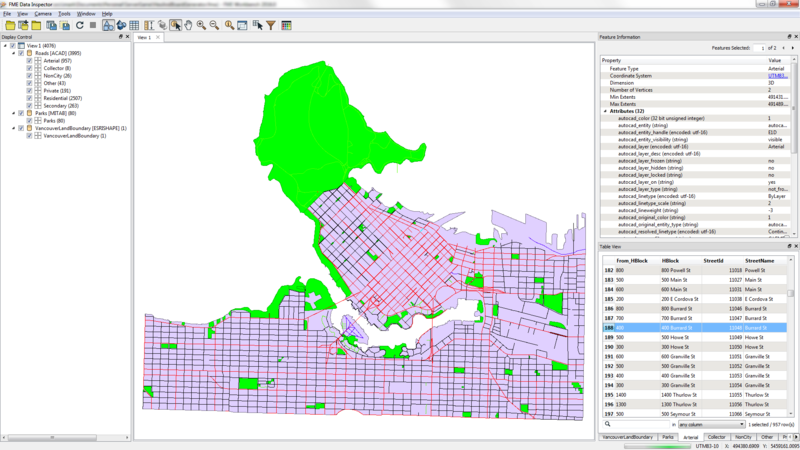 A tool for applying FME functionality to other GIS and CAD applications; commonly enabling use of datasets not normally supported by those applications. An application for managing FME licensing. Additional components are also included as part of FME Desktop (Professional Edition or higher). The FME Command Line Engine enables translations to be initiated at the command line level. The FME Plug-In SDK allows developers to add formats and functionality to the FME core.